I've been wanting to keep in better contact with people by sending birthday cards. However, I didn't have a good way of keeping track of birthdays and I felt like I always had to scrounge for addresses. 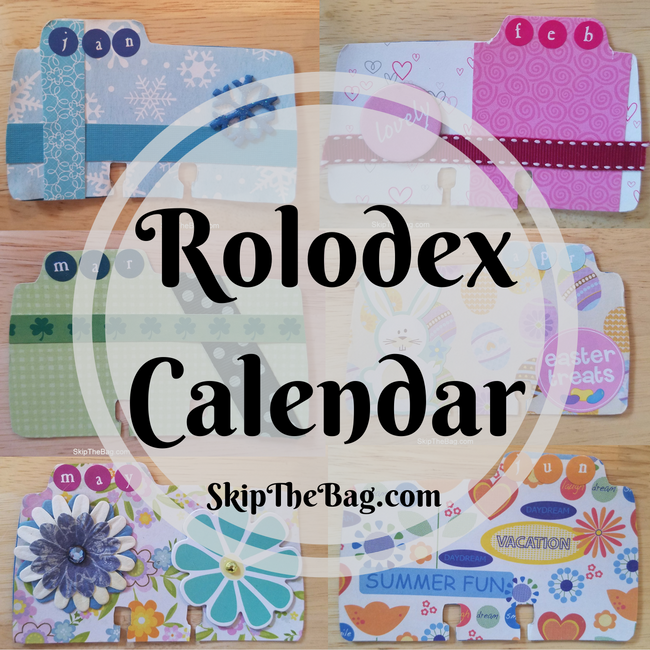 I figured making a rolodex calendar would be a fun way of keeping them together. 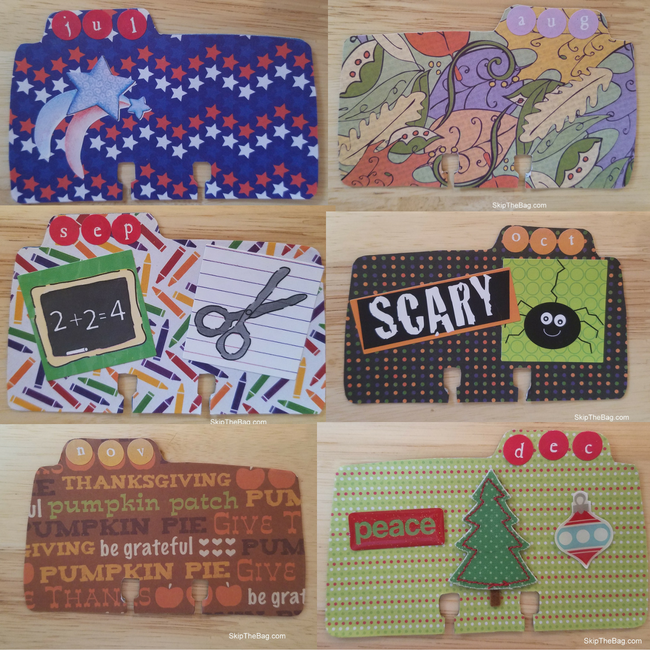 I took each of the alphabet cards and decorated them with a different month. 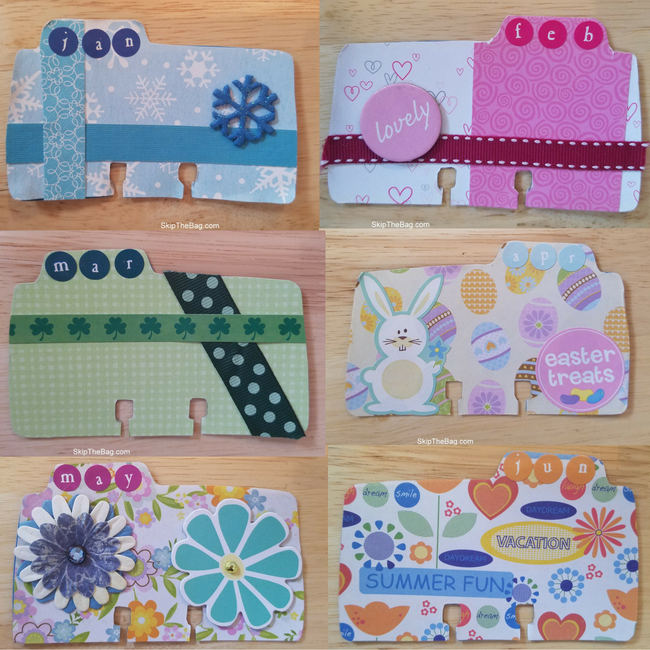 I have a lot of scrapbook paper and other embelishments so I was able to whip these up simply. I write the person's name and birthdate on the card. I can flip through the cards to quickly see whose birthdays are coming up and send them a card. Since we have so many military friends who move a lot I didn't want to write the address on the back of each card. So I made a family card to put in the back. For example I would have a card in the back that says "The Smith Family" and has their names and birthdates and address. Then each member of the Smith family would have their own card. 23 January Tommy Smith, 15 May Susan Smith. 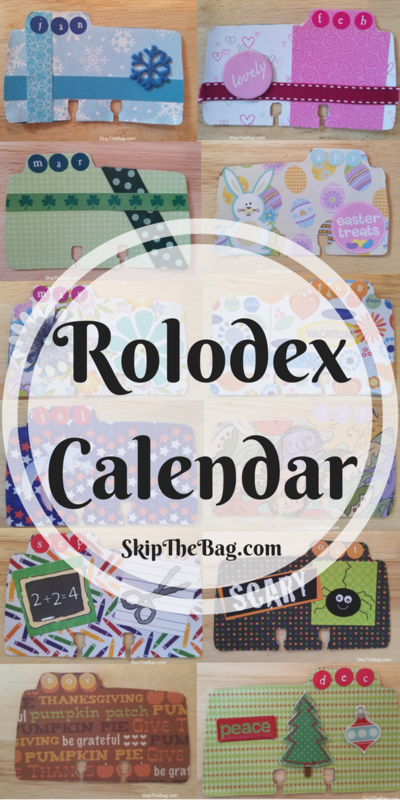 How do you keep track of birthdays or other special dates? This is amazingly organized. I think it is very thoughtful of you to send out all these birthday cards. I pretty much rely on facebook to give me a nudge and by then of course its too late to do anything but "type" a message. No nearly as thoughtful as your handwritten cards are. Well done for posting yours. Thank you for linking up to the #HomeMattersParty, we appreciate you stopping by. Thanks it's my intention to do this every year, but some times I'm better at it than others. Thanks for stopping by!